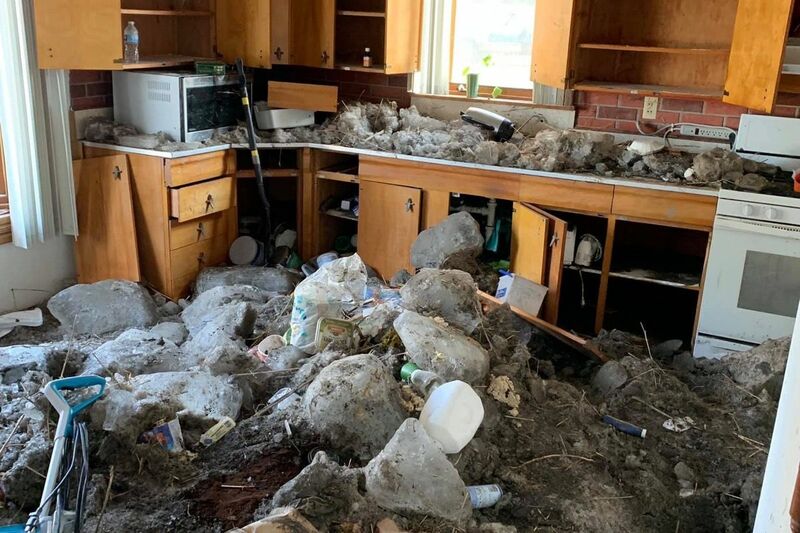 A fifth-generation Nebraska farmer has said it is unlikely that his farm will be salvageable following the vast floods that struck his land at the weekend. The record-breaking deluge has caused widespread damage to land and property and has resulted in at least three deaths. Rancher Anthony Ruzicka received a call around six in the morning to warn him that the Spencer Dam had been breached. He would have just a few minutes to try and salvage all he could from his precious farm — but it was too late. 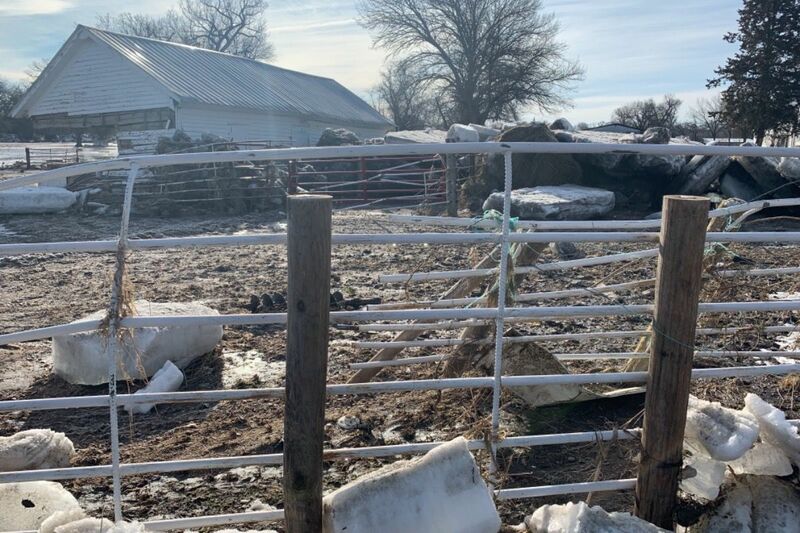 Strong currents carrying blocks of ice came streaming into his property, engulfing calves, bulls, machinery, farmhouses and everything else around. The Ruzicka family farm dates back to the homesteading days of the 1800s and offers a rare, timeless style of farming which has been preserved for generations. With the farmhouse destroyed, a prized branding iron missing and the family’s first tractor, which dated back to the 1930s, upturned in a muddy pond, the business has suffered a devastating blow that Anthony is unsure he will ever recover from. Tragically, after scrambling to get as many cattle as possible to higher ground, some fifteen newborn calves perished in the floodwaters. A GoFundMe campaign has been set up to help the Ruzicka family at this extremely difficult time. So far, just under $30,000 has been raised. 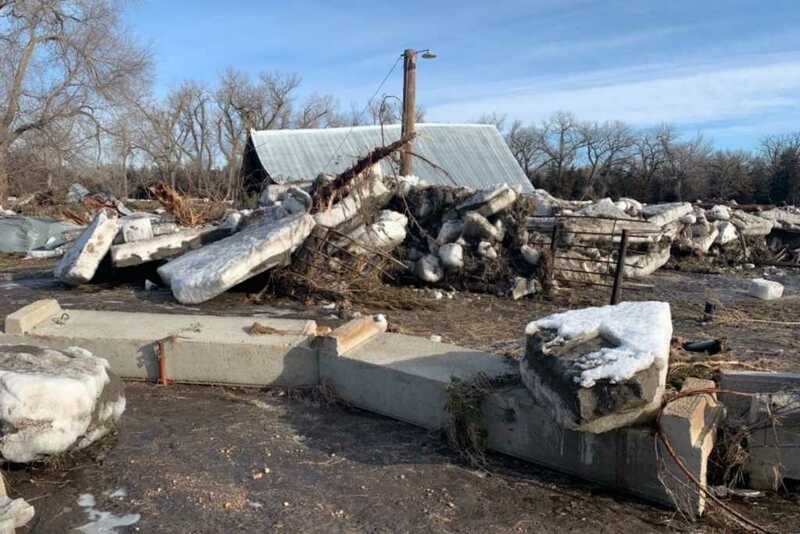 In a series of early estimations, the Nebraska Department of Agriculture had stated that the disaster could cost the state’s livestock sector up to a billion dollars in damages. “We’re looking probably at about 800 million to a billion dollars in agricultural losses across the state, both with livestock and then the subsequent damage to land,” said President of the Nebraska Farm Bureau, Steve Nelson. Please keep those impacted by these devastating floods in your prayers.